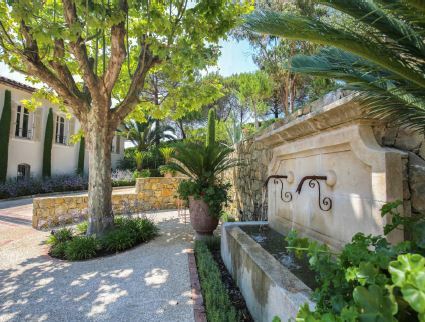 This magnificent Provencal villa is located just minutes away from the village of Mougins. From its residential and prominent position, the property benefits from panoramic views of the surrounding countryside. The villa is set within a stunning manicured garden with a large swimming pool. The attention to detail has been meticulously dealt with throughout the property with all furniture and decor coming together to emphasise the beauty of the villa. The living room is spacious and welcoming with high ceilings with exposed wooden beams. One side of the property has floor-to-ceiling windows to flood the space with natural light and ensure the spectacular views can be appreciated from all angles. The kitchen is fully equipped with a breakfast bar and the latest appliances and is open to the dining area. All 7 of the bedrooms are immaculately presented with only high end furniture used. To accompany the landscaped grounds and the pool, the villa features a summer kitchen, a boules court and a luxurious Jacuzzi.